The Fender Rumble 40 Bass Guitar Amplifier Combo is a lightweight solid-state combo amp from the newly revised Rumble Series that successfully demonstrates that portability needn’t be to the detriment of punchy bass tone. 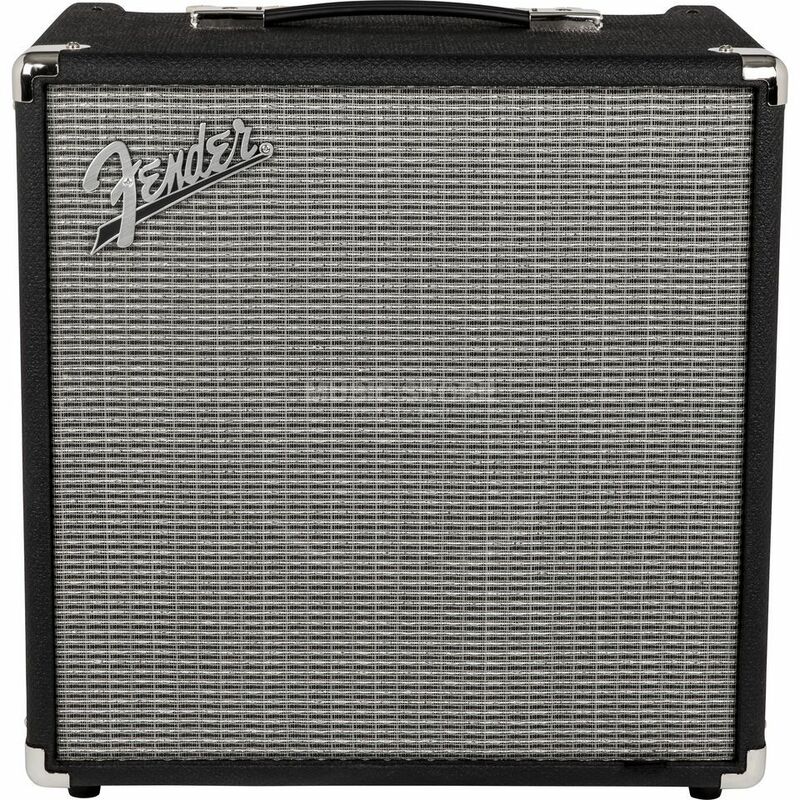 Presented with a dapper black textured vinyl covering and silver grille cloth for a classic Fender look, extraordinary power amp, Special Design 10” speaker and larger ported speaker enclosure for remarkable volume and deeper bass response, the Rumble 40 astonishes as it looks and performs as an absolute champ. This is a really good entry level bass amp. Before buying it I had my mind set on the Roland Cube. But comparing the two in the store, the Fender was clearly the best. You can't go wrong with this combo amp.